KBB.com Brand Image Awards. Boasts 28 Highway MPG and 21 City MPG! This Ford Escape delivers a Intercooled Turbo Regular Unleaded I-4 2.0 L/122 engine powering this Automatic transmission. Wheels: 18 Sparkle Nickel Painted Aluminum, Voice Activated Dual Zone Front Automatic Air Conditioning, Variable intermittent wipers. *This Ford Escape Comes Equipped with These Options *Turn-By-Turn Navigation Directions, Trunk/Hatch Auto-Latch, Trip computer, Transmission: 6-Speed Automatic w/SelectShift, Transmission w/SelectShift Sequential Shift Control and Oil Cooler, Tires: P235/50R18 A/S -inc: steel mini spare wheel w/mini space-saver spare tire, Tailgate/Rear Door Lock Included w/Power Door Locks, Systems Monitor, SYNC Services Mobile Hotspot Internet Access, SYNC 3 Communications & Entertainment System -inc: enhanced voice recognition, 8 LCD capacitive touchscreen in center stack w/swipe capability, AppLink, 911 Assist and two smart charging USB ports. * Stop By Today *For a must-own Ford Escape come see us at Haggerty Ford, 330 E Roosevelt Rd, West Chicago, IL 60185. Just minutes away! $1,448 below KBB Retail! Delivers 35 Highway MPG and 25 City MPG! Carfax One-Owner Vehicle. Dealer Certified Pre-Owned. This Buick LaCrosse delivers a Gas I4 2.5L/ engine powering this Automatic transmission. WHEELS, 18 (45.7 CM) ALUMINUM ALLOY (STD), TRANSMISSION, 6-SPEED AUTOMATIC 6T40, GEN3 (STD), TIRES, P235/50R18 ALL-SEASON, BLACKWALL (STD). *This Buick LaCrosse Comes Equipped with These Options *SUN AND SHADE PACKAGE includes (C3U) tilt-sliding power panoramic moonroof and (DB3) power rear sunshade , SUNSHADE, POWER, REAR, SEATS, FRONT BUCKET with seatback map pockets (STD), SATIN STEEL METALLIC, MOONROOF, POWER, PANORAMIC, LICENSE PLATE BRACKET, FRONT, ESSENCE PREFERRED EQUIPMENT GROUP includes standard equipment, ENGINE, 2.5L 4-CYLINDER WITH EASSIST FUEL SAVING TECHNOLOGY, L4 SIDI DOHC (STD), EBONY, PERFORATED LEATHER-APPOINTED SEAT TRIM with Ebony interior accents, AXLE, 2.64 FINAL DRIVE RATIO. *Feel Confident About Your Choice *According to Carfax's history report: Carfax One-Owner Vehicle. Haggerty Pontiac GMC graded the Overall Condition of this vehicle as Excellent. Clean, non-smoker interior! *Visit Us Today *Test drive this must-see, must-drive, must-own beauty today at Haggerty Pontiac GMC, 300 W. Roosevelt Rd., Villa Park, IL 60181. Delivers 27 Highway MPG and 18 City MPG! This Ford Taurus delivers a Regular Unleaded V-6 3.5 L/213 engine powering this Automatic transmission. Window Grid Antenna, Wheels: 18 Sparkle Silver-Painted Aluminum, Unique Cloth Front Bucket Seats -inc: 6-way power driver and passenger seat (fore/aft, up/down, tilt) w/manual recline and lumbar. * This Ford Taurus Features the Following Options *Trunk Rear Cargo Access, Trip computer, Transmission: 6-Speed SelectShift Automatic -inc: sport mode and shifter activation button, Tires: P235/55R18 A/S BSW, Systems Monitor, SYNC Communications & Entertainment System -inc: enhanced voice recognition, 911 Assist, VHR, SYNC Services, steering wheel control, 4.2 color LCD screen in center stack, AppLink and smart-charging USB port and auxiliary input jack, SYNC AppLink lets you control some of your favorite compatible mobile apps w/your voice, It is compatible w/select smartphone platforms, Commands may vary by phone and AppLink software, Strut Front Suspension w/Coil Springs, Speed Sensitive Variable Intermittent Wipers, Side Impact Beams, Selective Service Internet Access. 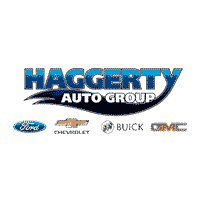 * Visit Us Today *Stop by Haggerty Ford located at 330 E Roosevelt Rd, West Chicago, IL 60185 for a quick visit and a great vehicle! *KEY FACTORY FEATURES: TRANSIT WAGON 350 LOW ROOF WITH RIGHT SIDE SWING OUT DOOR, 15 PASSENGER SEATING CAPACITY, PRIVACY GLASS, REAR WINDOW DEFROSTER, SIRIUS XM CAPABILITY, 4 INCH MULTI FUNCTION SCREEN, 8 SPEAKER AUDIO SYSTEM, AUXILIARY AUDIO INPUT FOR MOBILE DEVICE AUDIO STREAMING, 3.73 REAR AXLE RATIO, KEYLESS ENTRY, REAR VIEW CAMERA, 6 SPEED AUTOMATIC TRANSMISSION, 270 HORSEPOWER 3.7 LITER V6 ENGINE, 12 VOLT POWER OUTLETS, CARPET FLOOR, ADVANCETRAC WITH ROLL STABILITY CONTROL, PERFECT SHUTTLE VEHICLE! COME TAKE IT HOME TODAY! * * *OUR PRICING STRATEGY:* We shop EVERY vehicle we take in out OVER 100 square miles against vehicles with comparable equipment and miles to ensure you the most value for your hard earned money! * *AFFORDABLE TO OWN: COMES WITH BALANCE OF FACTORY WARRANTY THROUGH MARCH 2022 OR 60,000 MILES! *Every vehicle goes through a 120 point inspection to ensure you are purchasing a safe vehicle! We will even show you our report as well as what we did to the vehicle to make it right for you! How many other dealers will show you that?! We enroll you in our owner's advantage program that gives you a free oil change plus a flexible spending account for your vehicles! We put money into your account every time you service with us! 5% of your service bill gets put into this account for your use on ANY car in your household! * *WHY SHOULD YOU HURRY:* We aggressively price and market all our vehicles on 20 different websites to sell FAST and we sell 90% of our inventory EVERY month. We do NOT hold cars so if something interests you that we have, then the sooner you can make it in the better chance you have of getting it! Please note that any subscriptions in ad refer to what the vehicle came with when it was brand new! If there is a reference to Kelley Blue Book Price in this ad it is based on Kelley Blue Book Value at time of listing. The value of used vehicles varies with mileage, usage, and condition. Book values should be considered estimates only. THIS 2018 CHEVROLET MALIBU PREMIER IS EQUIPPED WITH FULL FACTORY POWER EQUIPMENT !! FACTORY PANOROOF !! FACTORY NAVIGATION !! HEATED LEATHER SEATS !! DRIVERS CONFIDENCE PACKAGE !! ADAPTIVE CRUISE CONTROL !! 19 INCH FACTORY WHEELS !! 1 OWNER ACCIDENT FREE CARFAX ! !GM Certified Pre-Owned means you not only get the reassurance of a 12mo/12,000-Mile Bumper-to-Bumper limited warranty, but also a 1yr/12,000-Mile Standard CPO Maintenance Plan, up to a 6-Year/100,000-Mile, $0 Deductible, Fully Transferable, Powertrain Limited Warranty, a 172-point inspection/reconditioning, 24/7 roadside assistance, Courtesy Transportation, 3-Day/150-Mile Customer Satisfaction Guarantee, 3 month trial OnStar Directions & Connections Service if available, SiriusXM Radio 3mo trial if available, and a Carfax vehicle history report. Again, we offer rock bottom prices and a hassle free shopping experience.Feel free to contact Chris Lewin, our Used Vehicle Manager, if you have any questions. His email is clewin@haggertyautogroup.com or call Chris at (888)277-3151. For Value and Integrity....It Has to be HAGGERTY !!! OUR PRICING PHILOSOPHY: We offer rock bottom prices in a hassle free shopping environment. * We shop EVERY vehicle we take in out OVER 100 square miles against vehicles with comparable equipment and miles to ensure you the most value for your hard earned money. Every vehicle goes through a 120 point inspection to ensure you are purchasing a safe vehicle and we can't put the warranty on without making it right! We will even show you our report as well as what we did to the vehicle to make it right for you! How many other dealers will show you that?! We enroll you in our owner rewards program which gives you a free oil change plus a flexible spending account for your vehicles! We put money into your account every time you service with us! 5% of your service bill gets put into this account for your use on ANY car in your household! * *WHY SHOULD YOU HURRY**:* We aggressively price and market all our vehicles on 20 different websites to sell FAST and we sell 90% of our inventory EVERY month. We do NOT hold cars so if something interests you that we have, then the sooner you can make it in the better chance you have of getting it! Feel free to contact our friendly sales staff at (888)301-8863 or email our used car manager, Chris Lewin at clewin@haggertyautogroup.com For Value and Integrity....It Has to be HAGGERTY !!! IIHS Top Safety Pick. Only 45,394 Miles! Delivers 23 Highway MPG and 16 City MPG! This GMC Acadia delivers a Gas V6 3.6L/220 engine powering this Automatic transmission. WHEELS, 20 (50.8 CM) CHROME-CLAD ALUMINUM, TRANSMISSION, 6-SPEED AUTOMATIC (STD), SEATING, 7-PASSENGER (2-2-3 SEATING CONFIGURATION) (STD) (Includes 2nd row flat-folding Captains Chair. May be substituted with (ABC) 8-passenger (2-3-3 seating configuration).). *This GMC Acadia Features the Following Options *LPO, CARGO CONVENIENCE PACKAGE includes cargo net and cargo area shade cover , RECLINING FRONT BUCKETS (STD), REAR SEAT ENTERTAINMENT SYSTEM, POWER OUTLET, 3-PRONG HOUSEHOLD-STYLE, 115-VOLT, NAVTRAFFIC is available in over 130 markets and works with your vehicle's navigation system to give you detailed traffic data right when you need it most - while you're driving. You'll avoid traffic tie-ups, save time and gas by getting alternate routes, and, in some cases, receive traffic speed and drive-time information. Plus, you can use NavTraffic at the same time you're enjoying SiriusXM Satellite Radio. You'll find that once you start using NavTraffic, you won't want to drive without it., LPO, ALL-WEATHER REAR CARGO MAT, LPO, ALL-WEATHER FLOOR MATS, THIRD ROW, LPO, ALL-WEATHER FLOOR MATS, FIRST AND SECOND ROW, LICENSE PLATE BRACKET, FRONT, ENGINE, 3.6L SIDI V6 (288 hp [214.7 kW] @ 6300 rpm, 270 lb-ft of torque [364.5 N-m] @ 3400 rpm) (STD). *See What the Experts Say! *As reported by KBB.com: If you need room for eight, a massive cargo bay or some combination of both, but you don't want a fuel-thirsty full-size SUV or dowdy minivan, check out the 2013 GMC Acadia. *Stop By Today *Live a little- stop by Haggerty Pontiac GMC located at 300 W. Roosevelt Rd., Villa Park, IL 60181 to make this car yours today!The GMC Acadia has redefined the three-row crossover segment with unprecedented passenger and cargo functionality, exceptional refinement and premium amenities. Available features include 7 or 8 passenger seating, AWD, power liftgate. Acadia has best-in-class cargo space with fold flat-second and third row seats, easy 3rd row access with Smartslide technology and the only crossover that offers 48 of width in the cargo area. New safety features including available Side Blind Zone Alert with Cross Traffic Alert, industry first available front center air bag system, available Lane Departure Warning and Forward Collision Alert.Technology includes available Intellilink connectivity, Navigation, RemoteLink key fob services available for 5 years, color touch radio, standard rear vision camera, and ultrasonic rear park assist.To help enhance your peace of mind all GMC vehicles include 2 years or 24,000 miles of scheduled maintenance, which includes an oil and filter change, tire rotation, and 27 point inspection.The Acadia has class-exclusive Head-Up-Display, available heated and cooled front seats, power tilt/telescoping steering column. Dual Skyscape Sunroof, Forward Collision Alert, HID Headlamps, Lane Departure Warning, wood trim, and trailer towing add to the overall value.Come and test drive your new Acadia today! $1,784 below KBB Retail! Delivers 25 Highway MPG and 18 City MPG! Carfax One-Owner Vehicle. Dealer Certified Pre-Owned. This GMC Acadia delivers a Gas V6 3.6L/223 engine powering this Automatic transmission. WHEELS, 4 - 18 X 7.5 (45.7 CM X 19.1 CM) ALUMINUM (STD), TRANSMISSION, 6-SPEED AUTOMATIC, TRAILERING PACKAGE INCLUDES FACTORY-INSTALLED HITCH 4000 lb. towing, 7-pin wiring harness, Class III hitch, (V08) heavy-duty cooling system and Active Tow. *This GMC Acadia Comes Equipped with These Options *SUMMIT WHITE, SLT PREFERRED EQUIPMENT GROUP Includes Standard Equipment, SEATS, FRONT BUCKET (STD), SEATING, 6-PASSENGER (2-2-2 SEATING CONFIGURATION) (STD), JET BLACK, SEAT TRIM, PERFORATED LEATHER-APPOINTED, ENGINE, 3.6L V6, SIDI, DOHC with Variable Valve Timing (VVT) (310 hp [231.1 kW] @ 6600 rpm, 271 lb-ft of torque @ 5000 rpm [365.9 N-m]), COOLING SYSTEM, HEAVY-DUTY, AXLE, 3.16 RATIO, AUDIO SYSTEM, 8 DIAGONAL COLOR TOUCH SCREEN WITH GMC INFOTAINMENT SYSTEM, AM/FM/SIRIUSXM USB ports, auxiliary jack, Bluetooth streaming audio for music and most phones, advanced phone integration featuring Apple CarPlay, Android Auto and voice-activated technology for radio and phone (STD), ALTERNATOR, 170 AMPS. *Feel Confident About Your Choice *According to Carfax's history report: Carfax One-Owner Vehicle. Haggerty Pontiac GMC graded the Overall Condition of this vehicle as Excellent. This vehicle has never been smoked in! *Stop By Today *For a must-own GMC Acadia come see us at Haggerty Pontiac GMC, 300 W. Roosevelt Rd., Villa Park, IL 60181. Just minutes away! *KEY FACTORY FEATURES: F-150 XLT 4 WHEEL DRIVE WITH V8 ENGINE, 6 SPEED AUTOMATIC TRANSMISSION, 3.31 REAR AXLE RATIO, SIRIUS XM CAPABILITY, 40/20/40 SPLIT BENCH STYLE FRONT SEAT, POWER LOCKS, WINDOWS, MIRRORS, KEYLESS ENTRY, AUTOMATIC HEADLIGHTS, TILT WHEEL, CRUISE CONTROL, DAYTIME RUNNING LIGHTS, ELECTRONIC SHIFT ON FLY 4 WHEEL DRIVE SYSTEM, NICELY EQUIPPED TRUCK READY TO DRIVE OFF THE LOT TODAY! * * *OUR PRICING STRATEGY:* We shop EVERY vehicle we take in out OVER 100 square miles against vehicles with comparable equipment and miles to ensure you the most value for your hard earned money! * *AFFORDABLE TO OWN: COMES WITH BALANCE OF FACTORY WARRANTY THROUGH JUNE 2022 OR 60,000 MILES! *Every vehicle goes through a 120 point inspection to ensure you are purchasing a safe vehicle! We will even show you our report as well as what we did to the vehicle to make it right for you! How many other dealers will show you that?! We enroll you in our owner's advantage program that gives you a free oil change plus a flexible spending account for your vehicles! We put money into your account every time you service with us! 5% of your service bill gets put into this account for your use on ANY car in your household! * *WHY SHOULD YOU HURRY:* We aggressively price and market all our vehicles on 20 different websites to sell FAST and we sell 90% of our inventory EVERY month. We do NOT hold cars so if something interests you that we have, then the sooner you can make it in the better chance you have of getting it! Please note that any subscriptions in ad refer to what the vehicle came with when it was brand new! If there is a reference to Kelley Blue Book Price in this ad it is based on Kelley Blue Book Value at time of listing. The value of used vehicles varies with mileage, usage, and condition. Book values should be considered estimates only. $2,513 below KBB Retail! Delivers 25 Highway MPG and 18 City MPG! Carfax One-Owner Vehicle. This Ford Explorer delivers a Intercooled Turbo Premium Unleaded I-4 2.3 L/140 engine powering this Automatic transmission. Wheels: 20 Premium Luster Nickel-Painted Aluminum, Voice Activated Dual Zone Front Automatic Air Conditioning, Valet Function. *This Ford Explorer Features the Following Options *Trunk/Hatch Auto-Latch, Trip computer, Transmission: 6-Speed SelectShift Automatic (446), Towing Equipment -inc: Trailer Sway Control, Tires: P255/50R20 AS BSW, Tire Specific Low Tire Pressure Warning, Terrain Management System ABS And Driveline Traction Control, Tailgate/Rear Door Lock Included w/Power Door Locks, Systems Monitor, SYNC 3 Communications & Entertainment System -inc: enhanced voice recognition, 8 LCD capacitive touchscreen in center stack w/swipe capability, pinch-to-zoom capability included when equipped w/available voice-activated touchscreen navigation system, AppLink, 911 Assist, Apple CarPlay and Android Auto compatibility, 2 smart-charging multimedia USB ports (1 replaces the front center floor console powerpoint port). *Feel Confident About Your Choice *Carfax reports: Carfax One-Owner Vehicle. Haggerty Pontiac GMC graded the Overall Condition of this vehicle as Excellent. Non-smoker vehicle! *Visit Us Today *For a must-own Ford Explorer come see us at Haggerty Pontiac GMC, 300 W. Roosevelt Rd., Villa Park, IL 60181. Just minutes away! THIS 201 CHEVROLET EQUINOX PREMIER AWD IS EQUIPPED WITH FULL FACTORY POWER EQUIPMENT !! FACTORY PANOROOF !! FACTORY NAVIGATION/ BACKUP CAMERA / HD SURROUND VISION !! HEATED AND COOLED LEATHER SEATS !! DRIVERS CONFIDENCE PACKAGE 1 AND 2 FOWARD COLLISION ALERT / ADAPTIVE CRUISE CONTROL !! INFOTAINMENT PACKAGE 2 !! HEATED STEERING WHEEL !! 2.0 TURBO MOTOR !! ALL WHEEL DRIVE !! ORIGINAL FACTORY MSRP $ 41360.00 !! 1 OWNER ACCIDENT FREE CARFAX ! !GM Certified Pre-Owned means you not only get the reassurance of a 12mo/12,000-Mile Bumper-to-Bumper limited warranty, but also a 1yr/12000-Mile Standard CPO Maintenance Plan, up to a 6-Year/100,000-Mile, $0 Deductible, Fully Transferable, Powertrain Limited Warranty, a 172-point inspection/reconditioning, 24/7 roadside assistance, Courtesy Transportation, 3-Day/150-Mile Customer Satisfaction Guarantee, 3 month trial OnStar Directions & Connections Service if available, SiriusXM Radio 3mo trial if available, and a Carfax vehicle history report. Again, we offer rock bottom prices and a hassle free shopping experience.Feel free to contact Chris Lewin, our Used Vehicle Manager, if you have any questions. His email is clewin@haggertyautogroup.com or call Chris at (888)277-3151. For Value and Integrity....It Has to be HAGGERTY !!! OUR PRICING PHILOSOPHY: We offer rock bottom prices in a hassle free shopping environment. * We shop EVERY vehicle we take in out OVER 100 square miles against vehicles with comparable equipment and miles to ensure you the most value for your hard earned money. Every vehicle goes through a 120 point inspection to ensure you are purchasing a safe vehicle and we can't put the warranty on without making it right! We will even show you our report as well as what we did to the vehicle to make it right for you! How many other dealers will show you that?! We enroll you in our owner rewards program which gives you a free oil change plus a flexible spending account for your vehicles! We put money into your account every time you service with us! 5% of your service bill gets put into this account for your use on ANY car in your household! * *WHY SHOULD YOU HURRY**:* We aggressively price and market all our vehicles on 20 different websites to sell FAST and we sell 90% of our inventory EVERY month. We do NOT hold cars so if something interests you that we have, then the sooner you can make it in the better chance you have of getting it! Feel free to contact our friendly sales staff at (888)301-8863 or email our used car manager, Chris Lewin at clewin@haggertyautogroup.com For Value and Integrity....It Has to be HAGGERTY !! !